Canvio Basics 3.0 Plus products have been designed and manufactured in accordance with Toshiba’s high quality product standards, incorporating the latest technology and user-interface, while ensuring best-in-class performance, quality and workmanship. 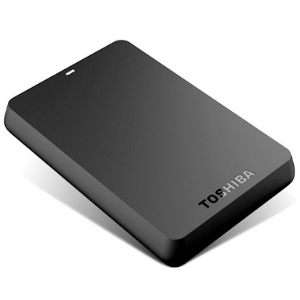 • USB 3.0-powered portable add-on storage. • USB bus power capable, no need for AC adapter. • Easy to use with no software to install. 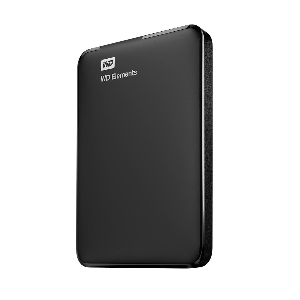 • Accommodates large digital files with spacious storage capacity. • Protects your drive (Internal Shock Sensor and Ramp Loading Technology). 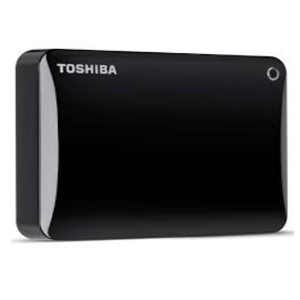 • Gives you peace of mind (Toshiba 3-Year Limited Warranty). ¹ One Gigabyte (1GB) means 109 = 1,000,000,000 bytes and One Terabyte (1TB) means 1012 = 1,000,000,000,000 bytes using powers of 10. A computer operating system, however, reports storage capacity using powers of 2 for the definition of 1GB= 230 = 1,073,741,824 bytes and 1TB = 240 = 1,099,511,627,776 bytes, and therefore shows less storage capacity. Available storage capacity (including examples of various media files) will vary based on file size, formatting, settings, software and operating system and other factors.